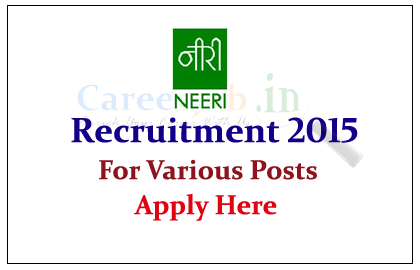 CISR – National Environmental Engineering Research is recruiting for the various posts for the year 2015. 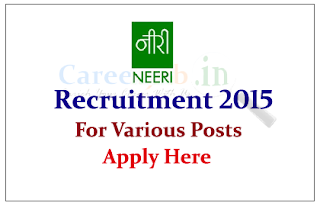 Interested and Eligible candidate can apply here on or before 5th June 2015. The National Environmental Engineering Research Institute (NEERI) is a research institute created and funded by Government of India. It was established in Nagpur in 1958 with focus on water supply, sewage disposal, and communicable diseases and to some extent on industrial pollution and occupational diseases found common in post-independent India. Eligible candidates can apply and send their hard copy of filled application to below mention address on or before 05.06.2015. Interview will be held 09.06.2015, For more details kindly Check Official Notification.